The direction you'll follow in life begins with these two simple words: I AM. You will begin to transform your destiny by changing what you say about yourself. This interactive journal will help you strengthen your self-image and invite opportunity into your life with daily wisdom from THE POWER OF I AM. With this journal, you'll be challenged by thought-provoking questions and empowered to accomplish your dreams. You will discover the inner strengths, natural talents, and unique abilities that will lead to a successful future. The Power of I am Journal by Joel Osteen was published by Hodder & Stoughton General Division in March 2016 and is our 38732nd best seller. The ISBN for The Power of I am Journal is 9781473637399. 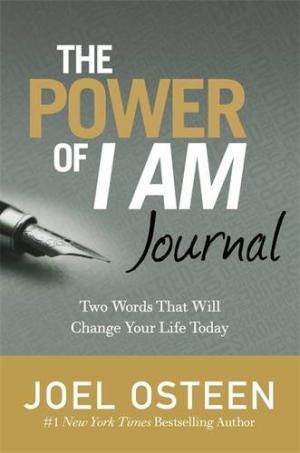 Be the first to review The Power of I am Journal! Got a question? No problem! Just click here to ask us about The Power of I am Journal.